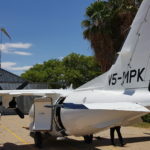 01/03/2013 – BAY AIR AVIATION was contracted by HRT Africa to provide fixed wing air transportation between Windhoek Eros (FYWE) and Walvis Bay (FYLZ), Windhoek Eros (FYWE) and Luderitz (FYLZ) to support their exploration drilling campaign in the south of Namibia. 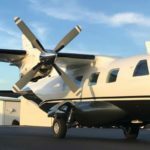 In order to meet the standards and requirements of the client, BAY AIR AVIATION utilized 2 x Beechcraft 1900 for the fixed wing operations. Starlite Aviation was contracted by BAY AIR AVIATION to handle and manage all logistics around the helicopter operations (2 x Bell 412) for the operational base situated in Walvis Bay and Luderitz. The services to Starlite included, but were not limited to, providing hangar and ground operations facilities, briefing and safety rooms, flight planning and flight operation hubs; crew transport and fleet management. Operation ended by November 2013.